James Maury Hensonwas born on this day in Greenville, Mississippi in 1936. Today is the 76th anniversary of his birth. He grew up near Leland, Mississippi exploring the countryside around his home. He was encouraged to pursue his artistic side, but he didn’t see a puppet show until the family moved to Washington, D.C. in the late 40’s. Henson recalled the family getting their first television as “the biggest event of his adolescence.” He enjoyed watching early puppet shows like Kukla, Fran and Ollie, Edgar Bergen and Charlie McCarthy, and Bil Baird and Charlemagne the lion. While still at Northwestern High School he got his first TV experience on WTOP-TV where he created and performed puppets for The Junior Morning Show on Saturday mornings. At the University of Maryland Henson was a studio arts major with hopes of working that into a career in stage or television design. He asked fellow UofM freshman Jane Nebel to help him on the show. Hensen and Nebel married in 1959 and had five children together. Muppets, Inc. grew. 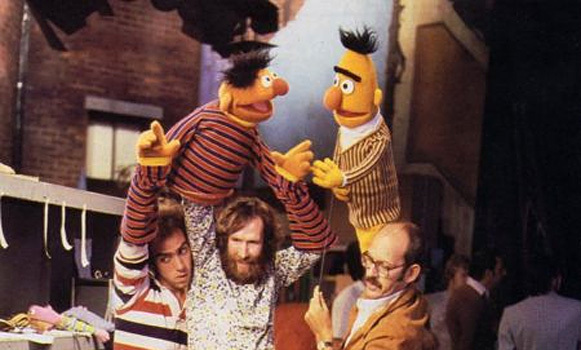 Jim and Jane added puppeteer and writer Jerry Juhl, puppet builder Don Sahlin and puppeteer Frank Oz to the fold. In 1968 they created a special for National Education Television “Muppets on Puppets” a 9 minute mini documentary on the world of puppeteering. The next year Sesame Street premiered. Children’s Television Workshop asked Henson and his creative team to develop a family of muppets to populate Sesame Street. They came up with Bert and Ernie, Big Bird, Oscar the Grouch, Grover, the Cookie Monster and others. Next came the weekly syndicated variety show, The Muppet Show, starring Kermit. The show included an expanded cast of muppets (like Miss Piggy, Gonzo, the Count, and Elmo) and featured a human guest star. It ran from 1976 to 1981. Movies followed. 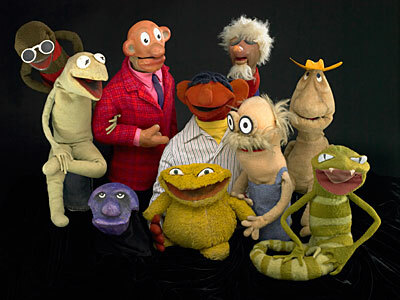 Henson found success with both Muppet productions and other puppet enhanced movies like The Dark Crystal and Labyrinth. Henson won 18 Emmy Awards, 7 Grammy Awards and 4 Peabody Awards in his 30 year career and touched millions of lives. He died from complications of pneumonia in New York on May 16, 1990. Here’s “Just One Person” (one of my favorite Muppet songs) performed at Henson’s tribute. 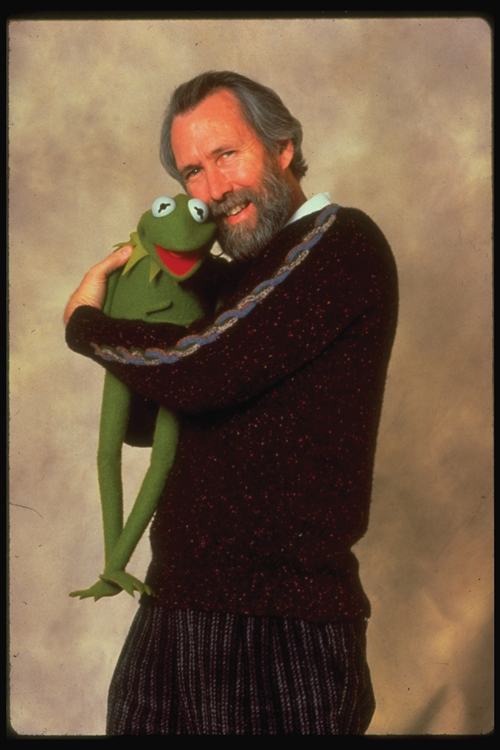 This entry was posted on Monday, September 24th, 2012 at 4:04 pm	and tagged with Jim Henson, Muppets, Sesame Street and posted in Art, Entertainment, Film, Jim Henson, Musical Theatre, NPR, postaday, Thought of the Day, Today's Birthday. You can follow any responses to this entry through the RSS 2.0 feed.